1. Forgetting the Water: How Much Does a Full Bath Weigh? Safety is the first and most important aspect of your home renovation. It might seem like an extreme example, but forgetting that a full bath weighs up to 100kg more than an empty one – and that’s before you get in! – can turn a safe build into a ceiling-cracking nightmare or bring a cupboard crashing down off a wall when you put the plates in. As we regularly install stone kitchens and bathrooms, we’re able to offer advice about the weight of our materials and the structures required to support them. And if your needs are beyond the scope of our experience, we’ll tell you so you can get the professional advice you need. Creating a new room in your home is a chance to start afresh. Unfortunately, many people take it a step too far, creating a space that ideally suits the life they’d like – not the one they have. While it’s a good idea to plan for the future – kids grow up, and we all get older – keep your focus on right now. In many cases, a stone bathroom or kitchen provides the perfect balance between the life you have and the life you dream of. 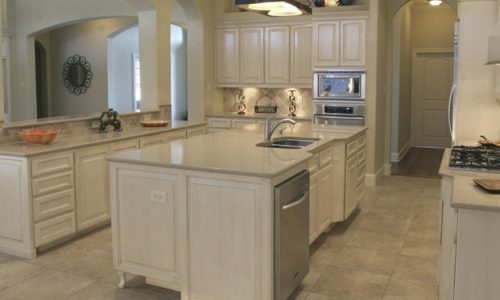 As it’s incredibly durable and easy to clean, a stone floor or work top is robust enough to fit into a busy lifestyle, full of pets, kids, grand-kids, hobbies, work, cooking and socializing. It’s also a beautiful natural material, and retains its elegance throughout the years. Another common mistake that even professional designers make is to forget the ongoing maintenance required for a room in use. It’s obvious that showers create steam, and the benefits of a ventilating fan become particularly obvious when water starts dripping down the walls. While fabrics in bathrooms tend to stay damp, in the kitchen there are a host of smells and stains for them to absorb. Stone stands strong through all these trials, as it doesn’t absorb any moisture, food particles germs or smells. Access to plumbing and wiring is another ongoing issue. It’s tempting to conceal all the unsightly fixtures and fittings, but when something goes wrong you don’t want to have to rip up an entire tiled floor to get at a single stopcock. If this issue is of concern to you, perhaps due to the age of your property or its layout, talk to us directly. We can help you create access points at key places, so that any future maintenance or repairs can be done quickly and effectively. A new bathroom is top of the home-improvement wishlist for many families. If you’re ready for a new stone bathroom, we’re here to help you design and build it. However, if you’re stuck with your old space for a while longer, here are a few tips to help you freshen things up.